So I am on the quest to create a hybrid MVC mini-framework that combines some of the best elements of Cairngorm, PureMVC and Maté. The idea is to use the Command pattern from Cairngorm (because I like all my service/UX logic to be placed there and the EventMap’s dependencies on binding and MXML seem limiting), the Mediator pattern from PureMVC (which unclutters and decouples the views) and the EventMap and Injection logic from Maté (which will help to further decouple some of the command=>model logic). Keep in mind I have only really been working with Maté for a couple of months and have only dived into actually understanding it in the last week or so. So if you know of a better way of doing what I am trying to accomplish, please let me know and I can update the article. //parse data object if needed. //parse info object if needed. I like the Command pattern because I think of it in a military sense. You issue a command to a soldier and that soldier executes the command, then generally reports back. So this is akin to that analogy. Next we need to see how to get the data back to the EventMap in order to wire the result/fault data into the appropriate places. I tinkered with this for quite some time before stumbling upon this solution. The Maté API docs are decent but fail to cover much beyond explaining the self explanatory. I really hope they work on their API docs and really flesh out the information. The AsyncCommandInvoker allows you to specify the event type that will trigger the successHandlers or the faultHandlers. Accessing the data payload for the result or success event is done using scope.currentEvent.data. Again I must reiterate that I stumbled upon this find because there was no documentation that I could find to support what I was trying to do. The cool thing about this is that you have now freed up your commands so that they needn’t know about any specific model objects. That is unless you really want to strongly type your result data objects. This freedom allows for better testing as you can simply wire up a testing event map if you want to unit test. Next up will be trying to wire mediators and their respective views into the event map. Categories: actionScript, cairngorm, development, flex, frameworks | Tags: actionScript, cairngorm, development, flex, Maté, PureMVC, tips | Permalink. Assume that you are creating a component in MXML such as some multi-state cell renderer or something that implements IDataRenderer. The nice bit about this is that you are doing the necessary logic to update the display list when it makes sense to do so (via the already established update framework in the Flex API). This will prevent many Null Pointer Exceptions (NPEs) due to a child component not being present when setting the component data from the overridden setter. AND It also reduces the need to override the getter/setter for the data property in the first place. Categories: actionScript, components, development, flex, tutorial | Tags: actionScript, components, development, flex, mxml, tips | Permalink. For those of you who use the Pod component I fixed the annoying issue of where title bar children’s visibile properties being set in MXML did not stick. Anyway revision 122 addresses this issue. Categories: actionScript, client side, components, flex, jwo_lib, projects | Tags: actionScript, components, development, flex, jwolib, mxml | Permalink. I have used this blog to post most of the updates regarding the as3isolib. I recently got another blog just for it now. So any future updates will be posted there, not here. Categories: actionScript, development, flash, flex, fun stuff, gaming, geometry, isolib, math, projects | Permalink. A user of the lib brought to my attention a major flaw in my default styling setup. This new release address the default styling as well as a few things regarding the TileCanvas’s itemRenderer (IFactory) generator class (now can use UIComponent, should implement IDataRenderer for best use). Categories: actionScript, client side, components, development, flash, flex, jwo_lib, mxml | Permalink. XY plane orientation – this is the equivalent to rotating the image by 45º and then reducing the height by half the original scale. 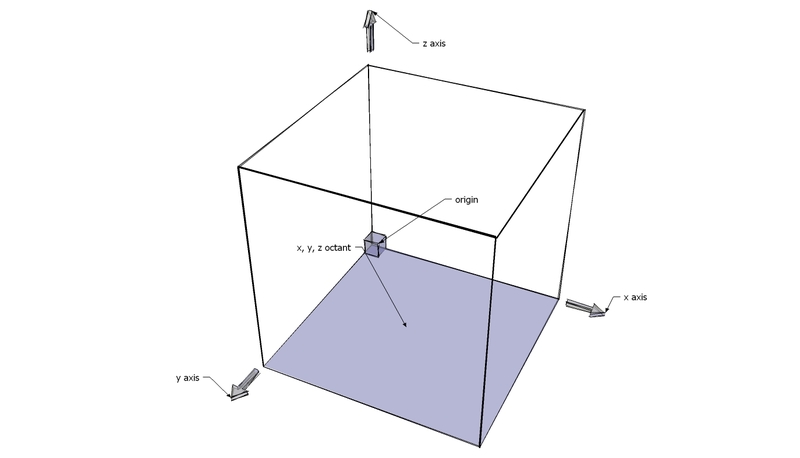 XZ plane orientation – this is simply skewing the image in the flash-based coordinate system along the y axis. Since most isometric projections (including the as3isolib) use a 2:1 ratio, we use Math.atan(0.5) rather than Math.PI / 6. Categories: actionScript, development, fun stuff, geometry, math, tutorial | Tags: actionScript, isometric, math | Permalink.